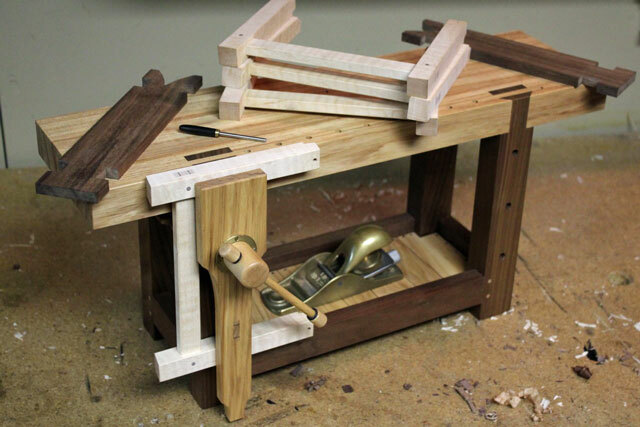 We have a very unique Workbench of the Month for February 2014 as this one comes to us from Marco T. who is a woodworker and Model-maker who hails from Oakland, Michigan. 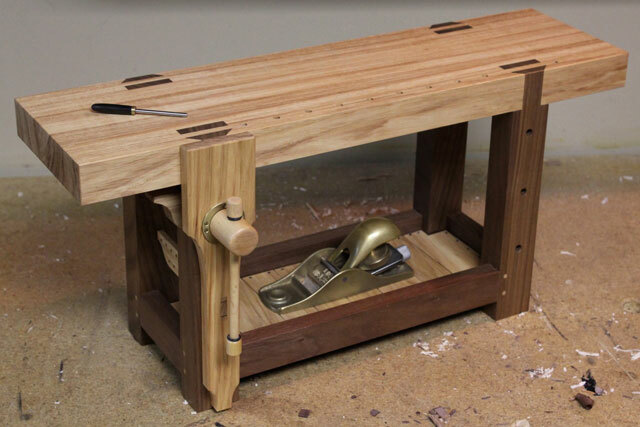 Marco actually built a fully functional model workbench in 1:4 scale that has a replica of a Lake Erie Toolworks wooden leg vise on it. We received the pictures from Marco and we were blown away by the amazing quality of what he made here and we simply had to make this our February Workbench of the Month. – Nick D.
Hello, my name is Marco T. and I am a 23 year old craftsman from Michigan. In my free time I make miniature tools. 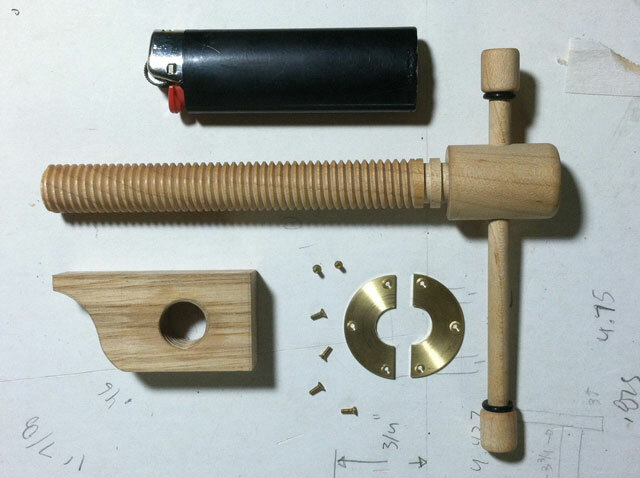 These are pictures of a wood vise screw that I modeled after yours in 1:4 scale. 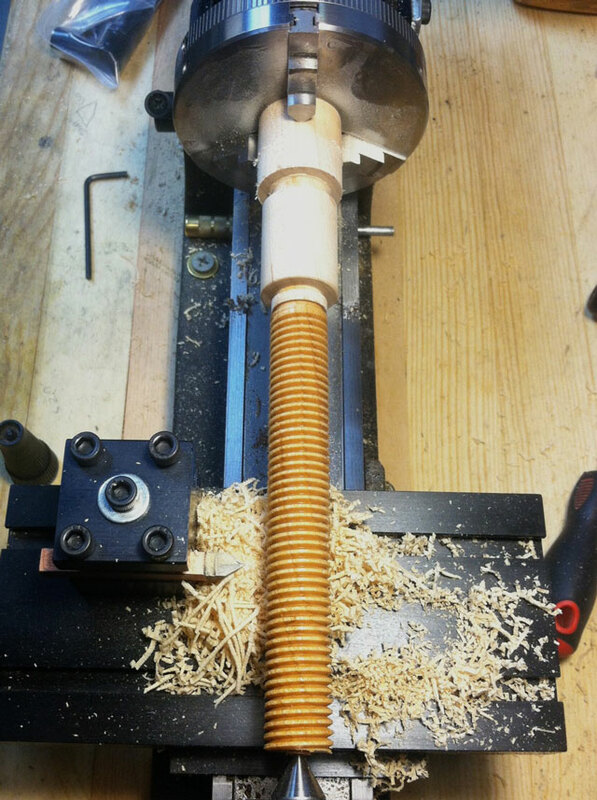 The screw was lathe turned, And the brass trim machined from bar. My Roubo bench is made in 1:4 scale. I used Christopher Schwarz general dimensions. 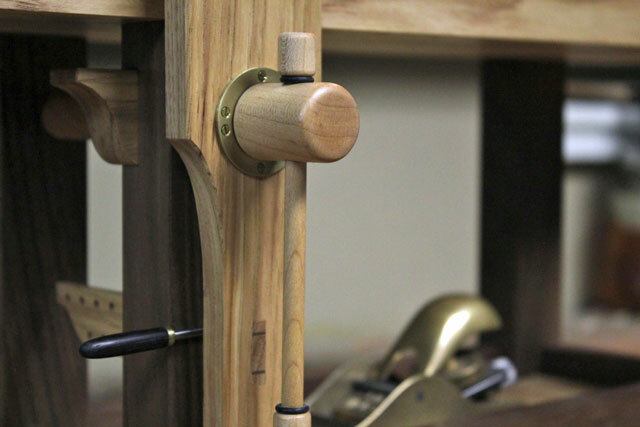 Hickory and walnut was used, and the vise screw is maple. The vise dimensions were found on your website. Every part, aside from the brass screws on the vise trim plate was made from scratch. The bench took over 3 weeks to make, working on it only late at night. 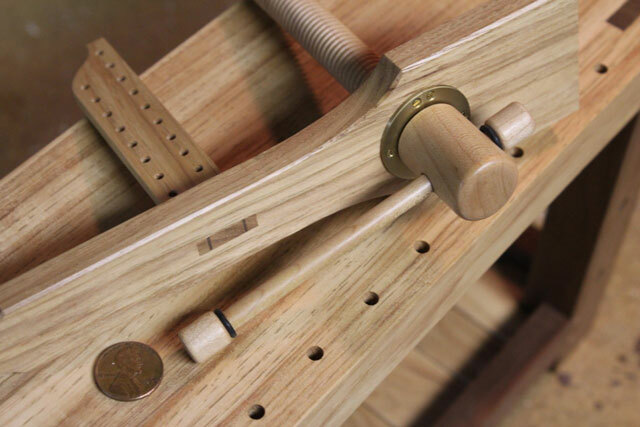 I plan on making the tail vise, dogs, and holdfasts as soon as I get the time. In one of the pictures those are 1:4 scale saw benches I am making to go with the bench. The dimensions of the bench are 18″ long 8.5″high 5″wide.